A brown pencil for the outer eye to outline the eyelid and intensity the gaze. 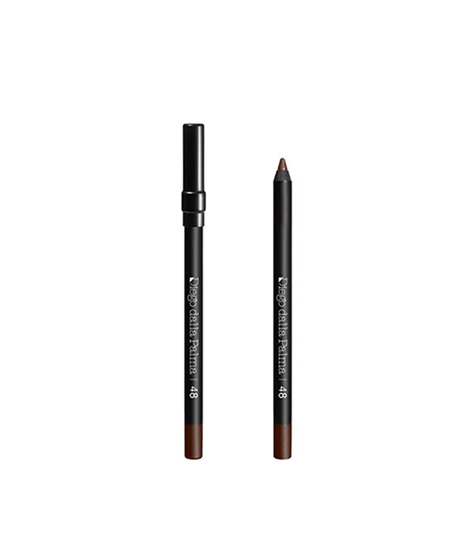 The medium soft and creamy texture glides over the skin for an immediately pigmented result. Versatile colour, intense and blendable stroke gives the eyes an intense and elegant appearance. Water resistant. easy to apply and easy to blend. INGREDIENTS/COCTAB: CYCLOPENTASILOXANE, ISODODECANE, POLYBUTENE, SYNTHETIC WAX, SIMMONDSIA CHINENSIS SEED OIL (SIMMONDSIA CHINENSIS (JOJOBA) SEED OIL), HYDROGENATED COTTONSEED OIL, MICA, CERESIN, OZOKERITE, CERA MICROCRISTALLINA (MICROCRYSTALLINE WAX), TOCOPHEROL, PHENOXYETHANOL, ASCORBYL PALMITATE, CI 77491 (IRON OXIDES), CI 77492 (IRON OXIDES), CI 77499 (IRON OXIDES).